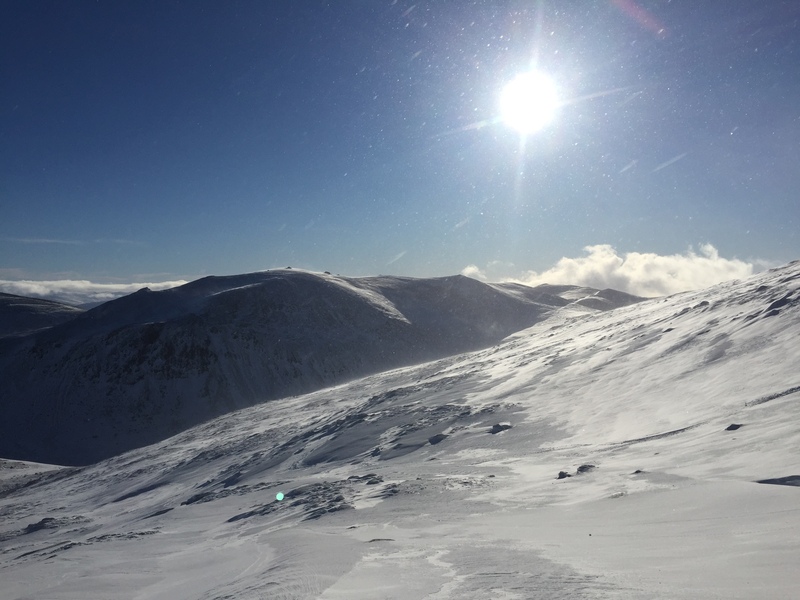 A cold sunny day with drifting snow at higher levels. Deep soft unstable windslab is forming in lee areas. 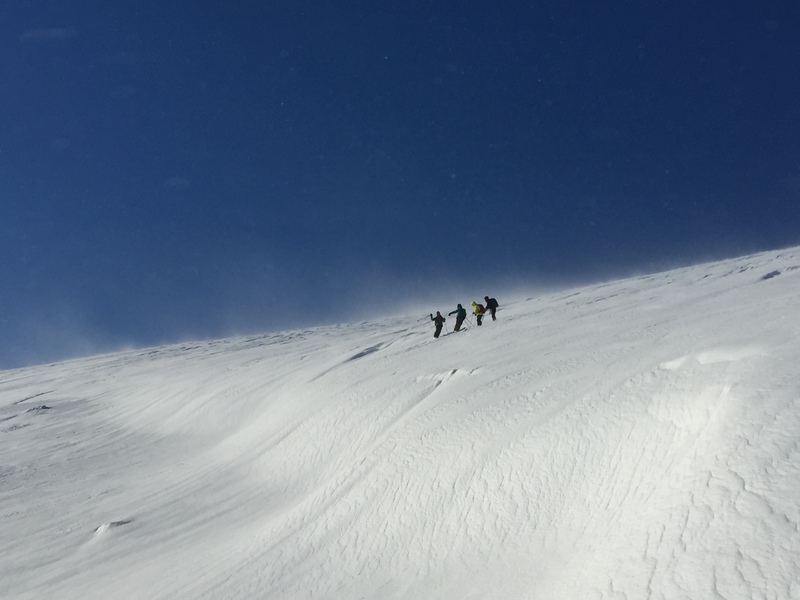 A ski group avoid the steep rollover where new windslab has accumulated.